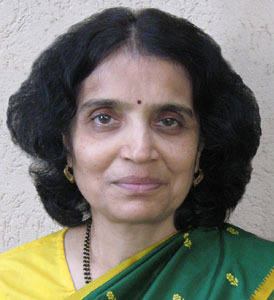 Jaishree Deshpande is the Treasurer of Sparta Group LLC, and a founder of the Deshpande Foundation. The Deshpande Foundation fosters social entrepreneurship by supporting a variety of non-profit organizations in India working in the areas of health, education, microcredit and agriculture. Jaishree and her husband supported the founding of The Deshpande Center at the MIT School of Engineering in 2002 to increase the impact of MIT technologies in the marketplace. She currently serves as a Trustee for the Museum of Science and is involved with HESTIA Fund – a fund established to support quality after school programming for low-income children.